The acupressure sessions at Summit Natural Wellness have helped me relieve tight ligaments and scars, caused by the staff infection, so I might have better range of motion in my affected arm, leg, and hand. Also, I recently fell and suffered deep bruising to my hip, back and elbow. My acupressure sessions have relieved much of the soreness and pain I first felt. I am now regaining my mobility and my lifestyle again. Everyone at Summit is helpful, courteous, and respectful, something not experienced very much anymore. Thank you. Summit Wellness Center. I have been seeing Dr. Parasson for about 8 years and have been very impressed with his knowledge and ability to explain some medical terms that can be a bit complicated. I see the fundamental difference between what Naturopaths do and what MD’s do is looking for the “root causes” of medical problems rather than just treating the symptoms. I can, and have recommended Summit Natural Wellness to people who are interested in a different approach to managing their health. I have been very pleased and happy with the advice, the service and the treatment I have received from Dr. Parasson. My wife and I first visited Dr. Parasson in the fall of 2013. We were impressed by his knowledge, his education background and his ability to explain health issues with the patient. Since that meeting Dr. Parasson has resolved many health issues for my wife (issues that countless specialists (MD and DO) could not resolve). I am very annoyed (angry is a better term) that the State of Ohio does not recognize NDs as medical doctors. Dr. Parasson is a highly educated professional and deserves the recognition that other Medical Doctors receive. Dr. Nick is an incredibly compassionate doctor. Both my husband and I have nothing but praise for his treatment methods, dedication and kindness. Now that we have moved out of state, we will continue our relationship with him as our main physician. I found Dr. Nick Parasson in the fall of 2011 when I was searching the web for a doctor in eastern Ohio to aid in my treatment of Lyme Disease. I remember that Dr. Nick called me back very quickly after I contacted the office and did everything he could to work with my schedule. Dr. Nick has been very helpful in treating the Lyme – both with supplements and food. I was able to come off the antibiotics I was on for 6 months prior to coming. Three years later, my immune system is much improved. I no longer have lyme symptoms that I am aware of, and my overall health is quite good. Dr. Nick has been incredibly encouraging as I continue to pursue health in every area of my life. Dr. Nick is a great teacher, and the supplements he prescribed have been very beneficial. I also love the atmosphere of the office and the helpfulness of the office staff. I’ve enjoyed the availability from Dr. Parasson whenever I’ve had a question. Dr. Parasson has helped me both enhance traditional medical options and improve overall health and well being. I first contacted him regarding prostate and urinary tract issues, but he has been extremely supportive in other areas as well. His nutritional supplementation strategies, together with other modalities, have enabled me to minimize or avoid prescription drug usage. Since we first met a few years ago, he has been a valuable resource and “sounding board” for all my health concerns. 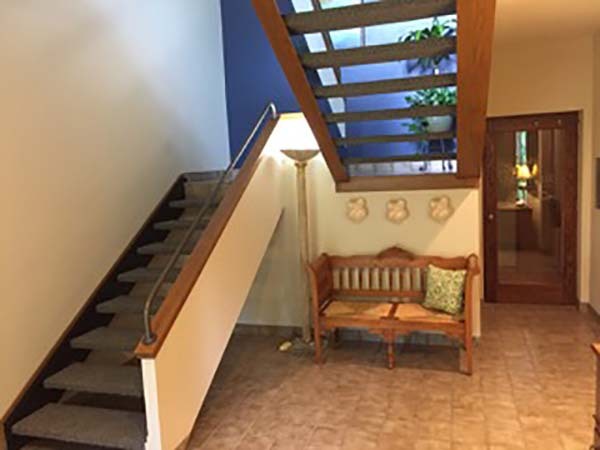 I have been a patient of Dr. Flynn’s for 4 years, and since my first visit I have recommended my family members, friends, and clients to Summit Natural Wellness Center. I have had issues for years that Dr. Flynn figured out, but other MD’s and naturopaths had overlooked. Dr. Flynn connected missing pieces that were integral to my health, and since implementing her suggestions, my health has improved in every way possible. I completely trust Dr. Flynn’s vast knowledge and guidance. I also appreciate the cleanliness and calming environment of the office, and the ease of making appointments with the staff and reordering supplements. SNWC is a gem in our area, and we are truly blessed with the caring, compassionate, and wise expertise Dr. Julie Flynn provides to her patients. One more thing – I wanted to add that Dr. Flynn helps us to be empowered with our health and our choices. Dr. Flynn was recommended to me by a trusted health & fitness expert I know and completely trust. I was experiencing significant and on-going symptoms for months after incurring a serious concussion. Since traditional medicine had given me no relief from symptoms, I decided to see if naturopathy could help, thinking that the worst that could happen is that it couldn’t make things worse. Dr. Flynn listened intently and prescribed some supplements she thought may help with both increasing blood flow to the brain as well as reduce inflammation, which may help with major and persistent dizziness, as just one of the symptoms I was experiencing. She recommended several supplements as complements to address the other needs. Literally, within two days, I had increased clarity and focus, more energy, less mood swings, and an overall feeling of better well-being than I had in 3 months prior. In conjunction with Cranial Sacral Therapy (received by both Dr. Flynn and an outside LMT), in conjunction with switching to a strict vegan diet, along with hair and saliva analysis which revealed several mineral imbalances, in conjunction with some dietary advice to ensure adequate protein and healthy fats were incorporated into my diet (as my goal was to resume long distance running), Dr. Flynn’s expertise I 100% believe played an instrumental role in both solving my concussion issue, as well as dramatically shortening both the severity and duration of some of the symptoms. Moreover, her knowledge has also helped immensely in rounding out my diet to ensure I am both healthy as well as helping me ensure my body is properly fueled so I can continue my fitness goals, which I have successfully resumed. In fact, my life and health is now even better than pre-concussion due to incorporating naturopathy, dietary changes and some additional fitness routines. If that weren’t enough (which is plenty! 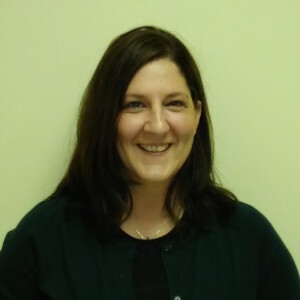 ), Dr. Flynn is calm, positive, caring, has exceptional communication and listening skills, and you can sense immediately that not only does she possess deep professional competencies, she cares greatly about her clients and it shows. Her staff is so incredibly welcoming, knowledgeable, friendly and beyond responsive. I am 61 years old and I’ve been a patient for close to 10 years now. I can’t say enough good things about this place. They offer the highest quality health care service available, in my humble opinion. I feel I am understood as a unique individual with my own unique needs. Effective treatment plans have been created with that in mind. For years before, I seemed to be some kind of medical mystery that no one could figure out. That all changed after coming to SNWC. One by one, my problems have been addressed and these days I am feeling very well and healthy, and well, just plain normal! I seriously don’t know what I would do without my doctor here at Summit Natural Wellness. God bless him! Before receiving help from Dr. Flynn at Summit Natural Wellness Center, I was having migraine headaches about three days each week, making it very hard for me to do all the things I wanted to do. With Dr. Flynn’s help, I learned I had some food allergies and blood sugar problems. Simple diet changes have changed my life – I rarely get migraines. I have much more energy. I feel more alert and much happier. I have lost weight and I feel much healthier. I am thirty-five years old and a stay-at-home mother to two small children. Feeling well and energetic makes me a better mother. I find the clinic and staff to be professional and very helpful. I was caught up in traditional healthcare all of my life. My family physician wanted to prescribe medication for conditions without discussion [of] the root causes. Julie Flynn and I have been able to come up with alternatives that are less expensive (great since I don’t have insurance!) and more beneficial to my health. Since I began on this path about 3 years ago, I have learned about a gluten allergy for which I don’t need to take a pill! My cholesterol has improved dramatically and I’ve substituted supplements in place of drugs. I’m pharmaceutical-free, and so is my daughter! The staff provides a welcoming, relaxed environment which made bringing a reluctant teenager no problem. My daughter now knows the benefit of a relationship with a health provider where she feels safe, confident, and empowered to make good decisions about her own health. We both feel that we have a voice and a more vested interest in our health. SNWC has changed my family’s life for the better by introducing a new way to approach our health. I am a patient of SNWC, and I wanted to write this to express my gratitude to Dr. Flynn as well as the staff. I am a complicated case, I came to Dr. Flynn when almost all hope was lost. I had been in pain for about 20 years, saw so many doctors and had so many issues that I began to die a slow death. This sounds a bit dramatic now looking back, but I was so tired, in so much pain, always ill, no longer able to work that it had taken a toll on my soul! I began to see Dr. Flynn, follow her advice and wow! I have begun to heal. She is an intelligent woman/doctor with many natural gifts! Dr. Flynn has a kind and gentle energy that is unassuming yet professional and instills confidence, not only in her and the practice, but in my own ability to be a whole and vibrant person again. 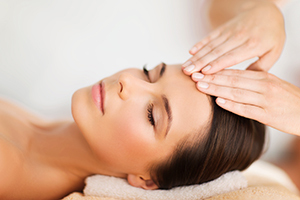 The cranial sacral treatments have been life changing! I have had this treatment many times over the years, along with physical therapy and much more yielding temporary results. In a relatively short time, my painful misaligned body has begun to unravel and find its way back home giving me pain relief and something else pretty amazing that’s just too hard to describe. This along with everything else we are doing is giving me back energy and an overall sense of well being. I had really forgotten what it felt like to be healthy and for every step forward I am so deeply grateful! I still have a way to go as the truth is I didn’t get this way overnight, but I can get out of bed in the morning and begin to see the future. I hope my story can help another person who is struggling the way I had been for much too long. We actually do have a choice and deserve to be healthy whole individuals! When I first visited Dr. Flynn I was experiencing an allergic reaction to food. I had rashes on both of my arms. I could not figure out what was going on because I had no prior history of food allergies. Dr. Flynn ran tests to determine the nature of my allergies and to determine what I needed to do. I am so thankful for Dr. Flynn (and for the team at Summit Natural Wellness Center)!!! They are so knowledgeable and helpful!!! And after following Dr. Flynn’s recommendations, my system has now completely healed. I no longer have a food allergy!! For many years, I have struggled with digestive issues, fatigue, depressed mood, and the ability to cognitively focus. I kept making changes to my lifestyle and diet thinking that my body was healing, while also consulting with physicians, but I didn’t feel any difference. I was recommended to make an appointment with Dr. Julieann Flynn and my experience was life-changing. Through consultation and testing, she helped me determine my various deficiencies and allergies (many of which I would have never know without her guidance!). The testing and her interpretation provided a level of comprehension and understanding that I hadn’t found in any other medical setting! Nearly a year later, I feel the best I have felt in my entire life at age 34 – and am expecting our first child in June. With more energy, increased mood, clearer mental focus, and a naturally balanced body, I am extremely grateful for her wisdom, care, and professionalism. Although I highly suggest Summit Natural Wellness Center to anyone, those I encounter can see the change in my life firsthand which has served as the best recommendation! I’ve been going here to get my legs sugared by Christina (the Managing Licensed Esthetician) since November of 2016. I can’t believe how kind and professional she is, even to someone who is new to the process and asks TONS of questions like me! She made sure I wasn’t uncomfortable and that the sugar wasn’t pulling on my skin. She gave me specific instructions to follow before my first appointment to help me be best prepared for the procedure. Her directions for exfoliation were thorough and clear; and this is a key step to having any hair removal procedure to avoid skin irritation and ingrown hair. I’m excited to keep going and see the hair growth diminish on my legs. I get horrible razor burn, so this has been the best thing for me. Christina is happy to help with any other skin questions I have, giving suggestions of things to avoid and things to try that I already have at home… Never trying to just upsell me, she has offered me a few samples to try before buying a full-sized product from their showroom. The Spa has such a calm and peaceful atmosphere, as well. So much so that I look forward to spending a couple hours having my legs sugared, even though it isn’t the most pain-free experience! (It does hurt a LOT LESS than regular waxing, however!) Highly recommended! I was looking for a way to take better care of myself, rather than just treat symptoms with prescriptions. Imagine my surprise when Dr. Flynn identified a food allergy as a root of my problem. (How could I live this long and not know this?) Careful review of history and education about how to make changes have been keys to my feeling better – than ever! Rather than spending money on doctor’s office visit co-pays and monthly prescriptions, I’ve redirected the money spent on my health care. And I have the lab results to prove it works! My son has been sick since he was four months old with head to toe eczema, bad stools, frequent illness, and poor weight gain as well as other things. Dr. Flynn has been the only professional to make a difference for him. We’ve only seen her twice, and my son is so much better already. His face is clear for the first time in 9 months! His regular pediatricians gave up on him, but she was able to help him right away. If it wasn’t for the doctors at Summit Natural I would be seriously crippled. I have chronic Lyme and function quite well for all my body has been through over the past 16 yrs, but that is because Summit docs taught me so many things in regards to how to care for my body…how to eat right…and remove foods that cause inflammation and fatigue. Their supplements are top quality and do wonderful at preventing and quickly treating flus, colds, etc. I’m never without their “Herbal Biotic” or their therapeutic probiotic. Originally I was told I had fibromyalgia and CFS but finally Dr Parasson figured out I had Lyme which is really helpful for proper treatment. Wish I found him sooner but so thankful for what I have been given through this team at Summit. My husband and I have been patients for years and appreciate all that Dr Flynn and Dr Parasson have done for us. We follow their natural approach to our health. Their physician grade supplements have kept us away from many prescription medications. They work very well with my MD and her suggestions. I take a natural statin supplement which is working very well to keep my cholesterol in the good range. My blood pressure supplement also continues to keep my blood pressure in the normal range. Recently I was diagnosed with Lyme and Dr Parasson’s treatment plan is making me feel better. Their approach is to find out what is causing the issue not just give you a pill to fix the symptom. The doctors and staff at Summit Natural Wellness Center are all very caring. Dave and I are so much healthier because of them. I love this place. Dr. Flynn is amazing. 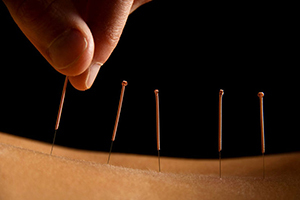 I even had some acupuncture done last summer, and it was a wonderful experience. I am looking forward to a nice heated stone massage in my future. Holistic is the way to go. The staff is excellent and knowledgeable! I would highly recommend! Very good massages, knowledgeable and much higher skilled than your typical mall or store front place. Would certainly consider for other services as well. Massage room calming and comfortable. Extremely clean and professional office areas. I was very impressed and pleased with my visit! I saw Dr. Parasson and for the first time, I feel optimistic that my health issues will have a chance to become resolved! The center itself is very peaceful and calling! Dr. Parasson is a licensed and board-certified Naturopathic Physician. He graduated from Bastyr University Medical School, the world’s leading academic center for advancing knowledge in natural medicine, located in Seattle, Washington. He received his Bachelor’s degree in Psychology from Ohio University. 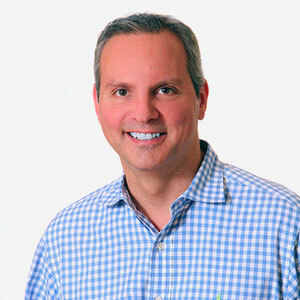 Dr. Parasson has received additional training in applied kinesiology (muscle testing), environmental medicine (which focuses on chemical sensitivities and detoxification of environmental pollutants) and infectious disease. While Dr. Parasson treats all health conditions of all ages, he has special interest in men’s health, cardiovascular disease, diabetes, adrenal/thyroid conditions, environmental medicine, oncology (cancer) and infectious disease including Lyme disease. He has appeared on numerous radio and television programs discussing a wide variety of health topics. Dr. Parasson enjoys golf, yoga, traveling and reading (especially about current medical literature). 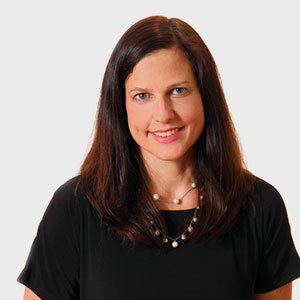 Dr. Julieann Flynn is a licensed and board-certified Naturopathic Physician. She graduated from Bastyr University Medical School in 2003. Dr. Flynn received her Bachelor of Arts in Zoology/PreMedicine from Miami University. Prior to joining SNWC, Dr.Flynn trained with a family practice physician and received additional training in functional medicine to better understand the biochemical causes of disease. She also received additional education and certification in Cranial Sacral Therapy, a gentle form of body work. Dr. Flynn treats all health conditions and enjoys working with patients of all ages from newborn to geriatric. Over the past 11 years of practice Dr. Flynn has developed special interest and skill set in pediatrics, women’s health and endocrinology. Dr. Flynn emphasizes creating treatment plans that are effective while still being manageable in a busy life. 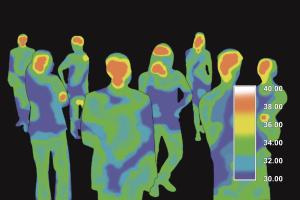 Dr. Flynn utilizes allergy testing and hormone testing to personalize her approach to her patients. She works with chronic digestive issues, hormone imbalance, depression, anxiety and fatigue among many other conditions. 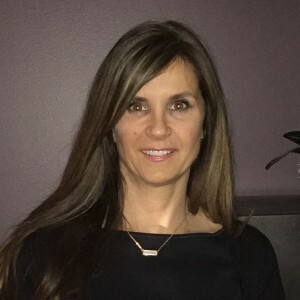 She has done numerous community lectures on topics such as inflammation, pediatric health, gluten intolerance, menopause and natural hormone replacement. Dr. Flynn lives her philosophies of natural medicine including eating a gluten- and dairy-free diet and participating in regular yoga practice for stress relief and exercise. Dr. Flynn is married and the mother of four children. She enjoys anything that gets her outdoors including hiking, biking, skiing and running. Dr. Adam Friedman graduated from Bastyr University Medical School with a Doctorate in Naturopathic Medicine and has always had a passion for learning. His other degrees include a Masters of Science in Exercise Physiology from Ohio University and dual Bachelors degrees in Pre-Physical Therapy and Psychology, also from Ohio University. Dr. Adam became a Certified Strength and Conditioning Specialist through the National Strength and Conditioning Association in 1999 and has a Level 1 CrossFit Trainer certification. He has trained diverse populations such as athletes at the high school, collegiate, and professional levels, pediatrics, geriatrics, pregnant women, and patients with acute or chronic pain. 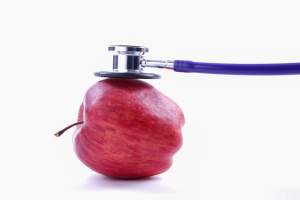 As a naturopathic physician, Dr. Adam utilizes the latest functional medicine techniques to gain a greater understanding of your needs, while maintaining naturopathic principles based on thousands of years of medical practice. He has practiced and lectured all over the world, from Hong Kong to rural Nicaragua and is fluent in Spanish. In his more than 25 years of experience in health and wellness, Dr. Adam has become a fat loss specialist. He understands the importance of hormone balancing along with diet, exercise and lifestyle in the fat loss equation. Because every patient is unique, he has created a comprehensive fat loss program that can be tailored to your individual needs. Dr. Adam sees health as a continuum that moves from illness through wellness to fitness. Let Dr. Adam locate where you are on that continuum and help you get moving in the right direction, away from illness and towards fitness, using the least force to get the most benefit. 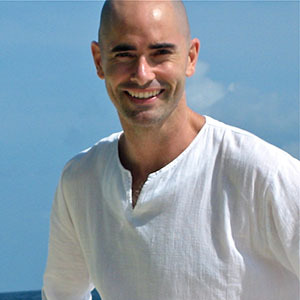 In his free time, Dr. Adam enjoys playing soccer, yoga, reading, and playing the classical guitar. 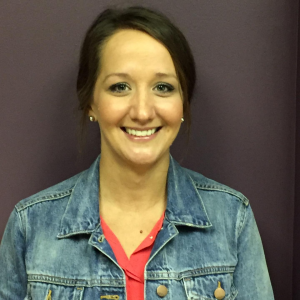 Jessica began working at Summit Natural Wellness Center in July of 2014. She has previously worked in a variety of healthcare settings with a focus on health and wellness. She received her B.A. in The Promotion of Health and Wellness from Hiram College in 2010. In her spare time she is a lover of animals, enjoys singing, reading and hiking with her husband and her dog. 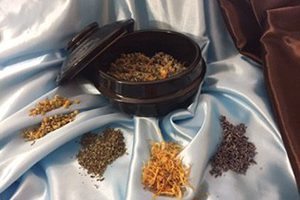 Lauren graduated with a Masters Degree in Acupuncture and Oriental Medicine and a Tui Na certificate from the Arizona School of Acupuncture and Oriental Medicine in 2012. Lauren graduated from a 4 year program condensed into 3 years of full time study and internship with a completeion of 3,146 total hours. During school, she had a special interest in Peripheral Neuropathy due to Chemotherapy and Radiation treatment, and wrote her Master’s Project describing her findings and treatments implemented on her own patients with such conditions. 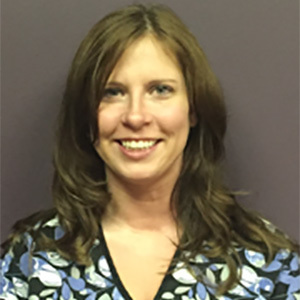 Leigh Ann has been a licensed massage therapist for 11 years, operating her own private practice in North Canton. 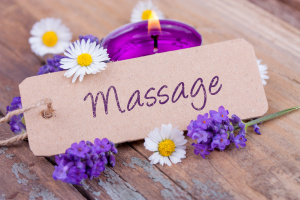 Whether the goal is relaxation or therapeutic in nature, she uses an integrative approach combining Swedish massage, Deep Tissue massage, Trigger Point Therapy, basic Myofascial Release and more to help facilitate client wellness. As a certified Integral Yoga instructor, she is also able to draw upon the yogic principles of breath work, relaxation, and stretching to further enhance long-term well-being. She is also a certified Reiki practitioner, trained in Auricular Therapy, and taught massage therapy for 7 years at Stark State College. Robin graduated from Northcoast Medical Academy in Kent, Ohio with her diploma in Medical Assisting in 2009. 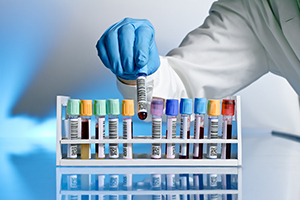 Robin also served as a Nationally Registered and Certified Phlebotomy Technician since 2010. She is CPR-certified through the American Heart Association. She underwent her Colon Hydrotherapy Technician training through I-ACT, the International Association of Colon Hydrotherapy. 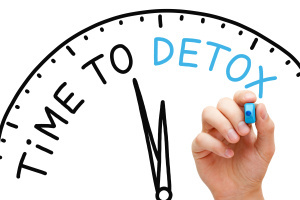 Robin is proud to offer colon hydrotherapy to patients seeking an alternative to pre-colonoscopy chemical laxatives which dehydrate your body and can cause cramping, pain, and time off work. 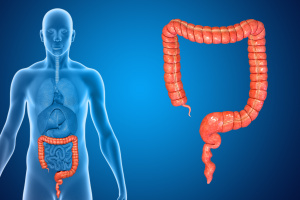 Any patient seeking good health should consider colon hydrotherapy. See our Colon Hydrotherapy page for more details. Dawn is our Operations Manager and has held positions in management and skin care throughout her career. She is passionate about providing patients and clients with skin care products and services that lead to a healthier, younger you on the inside and out. 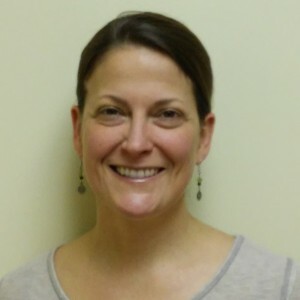 Christina is our licensed managing esthetician. She attended Brown Aveda in Rocky River. 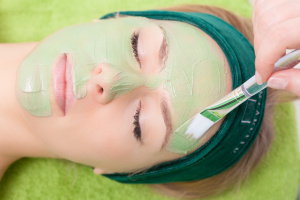 She also underwent additional training in herbal facials and plant based skincare. She personalizes healthy, natural skin care by ensuring that the products she uses are free of toxins, paraben, glycol, and sodium lauryl laureth sulfate. See more on our Facials & Hair Removal page. Amanda graduated from the Healing Arts Institute and has been licensed by the Ohio State Medical Board since 2008. She believes in the body’s ability to heal itself and utilizes her expertise to assist in the process. She combines intuition and technical skill in order to provide her clients with a thorough, soothing, and effective massage. Amanda brings a diverse skill set and have worked within athletic, rehabilitation and relaxation settings. Linnell Reed has been practicing reflexology since 2005. She completed training from New England Institute of Reflexology in Onset, Massachusetts in November 2004 with over 376 hours of specialized work. Additionally trained in the science-based Manzanares Method ™ of Reflexology with continuing education of 16 hours in June 2011 in Boston, Massachusetts. CE credit approved by the American Reflexology Certification Board for Provider POO118. She has a heart for helping people achieve a sense of well being, relax and restore balance in the body, one sole at a time. Jessica Carpenter is a certified Yoga Therapist (C-IAYT, RYT500), Health Coach, and Tension and Trauma Release Exercises (TRE®) Provider. 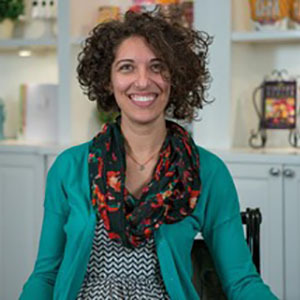 After completing Pure Vitality’s training course and an internship with Becky Mauldin ND in 2016, Jessica also registered as a certified holistic health practitioner (CHHP). 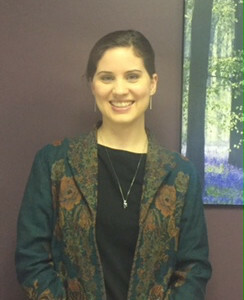 Jessica practiced massage therapy in Georgia for four years and has seven years of experience partnering with holistic and mental health professionals to support wellness goals. Complementary physical interventions can optimize results and provide empowering tools for clients to learn how to maintain their well-being. Jessica is currently a full-time student working toward her BA in Psychology and plans to begin a graduate program at Akron University in the fall of 2020. 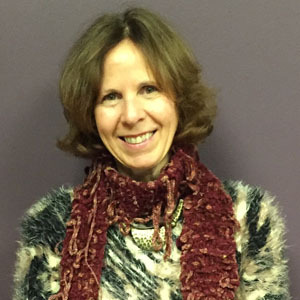 Her goal is to integrate her education for mental and emotional health with her experience as a bodyworker to create customized solutions that bring thorough and compassionate care to the healing journey. This powerful combination will support clients to take control of their health. Our physicians and staff welcome you. At Summit Natural Wellness Center we are dedicated to personalized health care, with an emphasis on science-based natural therapies. Our goal is help you overcome illness and maximize your health using the latest advances in functional and alternative medicine. If this is your first exposure to Naturopathic medicine, it is important to understand our approach to health care. Please browse through our website and familiarize yourself with our practitioners, the clinic, the fundamentals of Naturopathic medicine and other practical information. Thank you for your interest in Summit Natural Wellness Center. We look forward to working with you. Enjoy the journey. Interested, but still have questions about naturopathic medicine or one of our other services? Please call 330-928-6685 to schedule a Meet-n-Greet with one of our practitioners. Meet and greet appointments are available for all practitioners except Dr. Parasson. We apologize but his schedule does not allow time for meet and greet appointments. If you would like a meet and greet with a Naturopathic Doctor then please schedule with Dr. Julie Flynn or Dr. Adam Friedman.